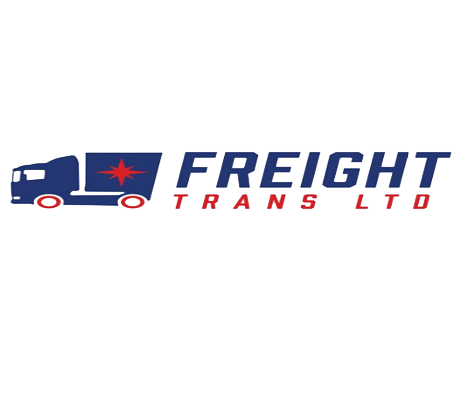 Welcome to Freight Trans Ltd (Freight Trans Removals), an independent specialist Removals Company. We cater for home or business moves and have a man and van option as well as full or partial packing services. We cover areas surrounding Southampton, Eastleigh, Winchester and Portsmouth. Our aim is to ensure you have received the ‘perfect service’ at the best value! We offer our customers a professional and knowledgeable removal service at unrivaled price. Very helpful office and removals staff. Highly Recommended! Fabian and his team were fantastic throughout. From attending our house in order to provide an accurate quote, through to packing our things and then moving them to the right rooms in our new house, we cannot fault them at all. We had been tempted to use a larger, more corporate firm in case that was a sign we could trust them. However, we believed Fabian when he gave us his word that he'd take personal responsibility for ensuring all went smoothly and he kept his word. I would recommend Freight Trans to any friends or family who are moving house. They worked quickly, tidily, carefully and were a pleasure to deal with throughout. Some quotes were over £200 more expensive. I cannot see how a service could be better than the one we had so it was definitely the right choice. Dear Customer, We are sorry to hear you have had a negative experience with Freight Trans Ltd but we feel your feedback is unfair. Our staff are hardworking, professional and fully trained and we disagree with your comment of them being tired as this was most definitely not the case. We provided you with a professional removals service and carried out an additional last minute, free of charge drop off. Unfortunately, due to local traffic caused by roadworks we were 30minutes late, but our transport manager did call and keep you updated. Our many good online reviews give accurate representation of our service and we hope you will use us again in the future. We wish you all the best in your new home. Fabian and his team did a fantastic job. I had my house move sprung on me with 4 days notice yet Freight Trans still managed to supply me with a removals crew, Their workrate was phenomenal. They moves a considerable amount of stuff from a 4 bedroom house in no time at all, not a single piece of damage and even manage to get my massive american fridge freezer through small doorways and up 5 steps, I can speak highly enough of the crew. On a baking hot day they worked incredibly hard and with no complaints - and sadly without water even for some hours at a storage facility. They were organised and helpful, taking great care of everything including not marking walls. They were safety conscious and sensible and went to great lengths to do what I asked. I unreservedly recommend them - and I have moved a lot. It was a complicated move and they never complained.